This seminar examined the contemporary state of portraiture in Britain from a range of angles, including a contextual introduction from Dr. Grant Pooke, author of Contemporary British Art: An Introduction (Routledge, 2010), with contributions from three practising artists – Benjamin Sullivan, Gemma Anderson and Alastair Adams PRP (in conversation with his sitter Marc Crank) – and Rosie Broadley of the National Portrait Gallery. 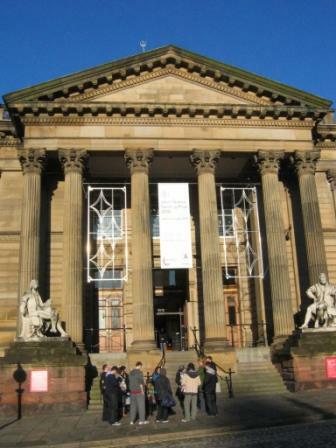 The seminar took place at the Walker Art Gallery in Liverpool, and the programme allowed time for delegates to visit some of the artistic projects comprising the Liverpool Biennial, which closed on 28 November. With many thanks to the Walker Art Gallery for hosting this event.